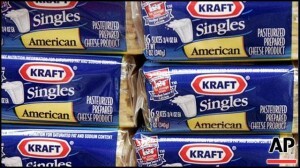 Kraft’s Singles cheese product slices are set to gain long lasting marketing points by ditching artificial preservatives, substituting sorbic acid with natamycin as a mold-fighter. A pack of Kraft Singles is to real cheese what a bottle of Heinz ketchup is to ripe tomatoes, a product that amps up everything a person could want from the source ingredient (acidity and sweetness in the case of tomatoes; gooey, creamy goodness in the case of cheese) while eliminating anything that might be the slightest bit inconvenient (it spoils, it isn’t available all the time, some ripe cheeses smell like gangrenous feet). Well, Kraft is responding to an outcry from Americans as they fuss and become increasingly picky about their food’s “naturalness,” scrutinizing labels, dining at “organic” restaurants, and joining community supported agriculture groups. Don’t get me started about how some people feel it’s fashionable to go gluten-free. Last week, Subway said it would remove azodicarbonamide from its breads, a widely-used FDA-approved food ingredient, after an online petition pointed out it was also used in yoga mats. PepsiCo Inc. last year said it would stop using brominated vegetable oil in Gatorade following a teen’s online petition that gained over 200,000 supporters. And after a vegan barista noticed Starbucks used a red dye made from crushed bugs, the chain announced it would switch to one that was tomato-based. The ads show cartoon cows grazing in a pasture, with a milk truck driving past the pasture. 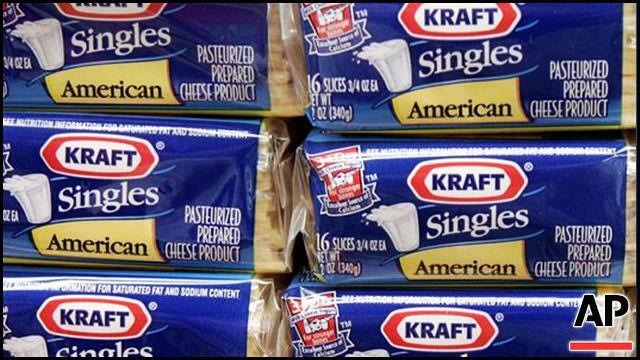 The new Kraft packages, which began appearing on supermarket shelves in recent weeks, also come stamped with a red circle noting they have no artificial preservatives or flavors. Kraft says its Singles haven’t used artificial flavors for many years, but that it just recently decided to advertise that aspect of the product. I don’t know whether to believe this or not. I still believe kraft cheese is just a bunch of ingredients rolled up in one, but I haven’t checked their labels in quite a long time. If they are actually making organic cheese, ones that aren’t actually made from various additions, I’ll start eating their cheese again.